It's been a rather turbulent year since the major shake-up end of 2013. 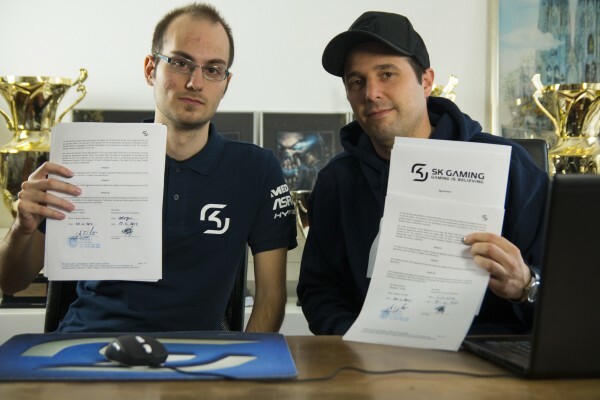 Being heavily criticized for the departure of ocelote, we rebuilt the League of Legends division from scratch, taking up four new players and had to re-qualify in what turned out to be a nail-biter against Supa Hot Crew. Written off by the majority, the team improved consistently and ended up on the second place of the 2014 LCS EU Spring Playoffs. Fast forward, we managed to qualify for the World Championships and were looking to be a worthy ambassador to represent Europe, but unfortunately failed to meet expectations and were forced to strike our colors early. For the 2015 season, we decided not to renew the contracts of both Jesse Le and Adrian Wübbelmann, who we wish all the best for the future, but instead try to become an even stronger team by adding two incredibly potent players that we think will synergize well with the team. 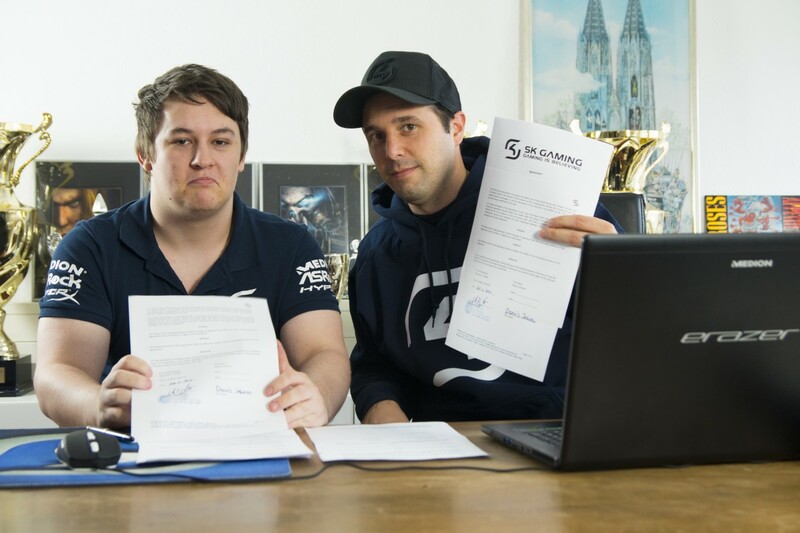 Without further ado, we hereby officially announce that Simon 'fredy122' Payne and Dennis 'Svenskeren' Johnsen as well as Christoph 'nRated' Seitz will continue to represent SK Gaming going forward, leaving the core of the team untouched. 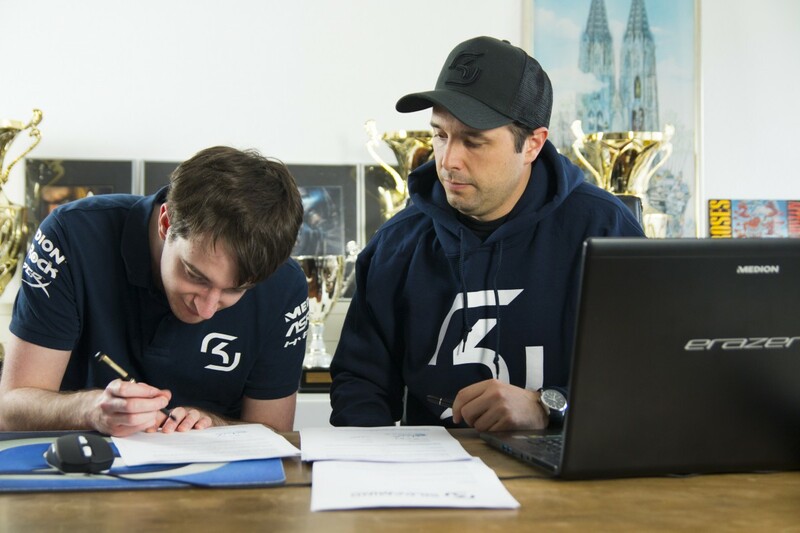 Hampus 'Fox' Myhre (formerly known was watdefox) has already caused some uproar in the challenger scene as the midlaner of SK Gaming Prime and is now taking the step into the professional scene. Last but not least, we want to welcome none other than Konstantinos 'FORG1VEN' Tzortziou as we celebrate his comeback to the LCS. With this being said, we are also announcing some personal changes within the team staff. From now on, Joe Elouassi will be taking over as Managing Coach as sports psychologist Lukas Schenke will continue to supervise the players. Wolfgang Landes and Danusch Fischer will join the staff as analysts to replace Nicolaj Jensen, who we like to thank for his services. 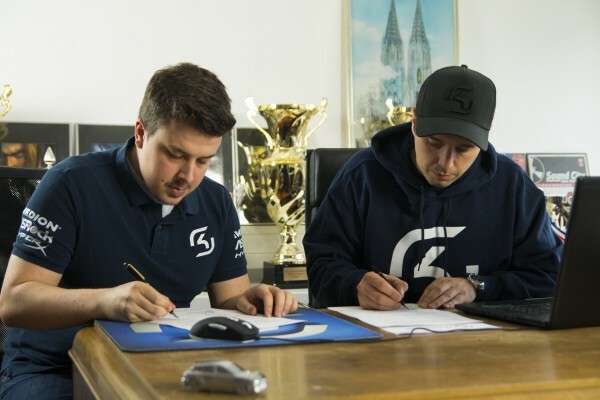 The team has just been to our HQ in Cologne, Germany, to officially sign the contracts and for a photo and video session, which we will share more of later this week. In the meantime, please give a warm welcome to our new lineup, make sure to follow the players on Facebook and Twitter and try to join us at the Swiss Gaming Night, which is going to be the team's first official debut.